Starters There are 44 products to choose from. Takeaway Lanzarote - Restaurants Puerto del Carmen Vegetarian Starter. Indian Takeaway Lanzarote, Indian Restaurants takeaways , indian food delivery Puerto Carmen - Best Indian Restaurants Lanzarote with Delivery Takeout Canarias Las Palmas. 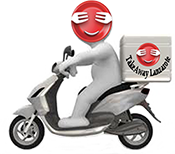 Takeaway Lanzarote - Restaurants Puerto del Carmen Vegetarian Starter .Best Indian Takeaway Lanzarote, Indian Restaurants takeaways , indian food delivery Puerto Carmen - Best Indian Restaurants Lanzarote with Delivery Takeout Canarias Las Palmas. Takeaway Lanzarote - Restaurants Puerto del Carmen Tandoori Vegetarian Starter. Cottage Cheese Cubes marinated with fresh indian herbs and charcoal grilled. Takeaway Lanzarote - Restaurants Puerto del Carmen Tandoori Vegetarian Starters - Cottage Cheese cubes marinated with indian fresh herbs and charcoal grilled. Takeaway Lanzarote - Restaurants Puerto del Carmen Tandoori Veg Starters . Cottage cheese marinated with rich cream, herbs, charcoal grilled. Takeaway Lanzarote - Restaurants Puerto del Carmen Tandoori Veg Starters - Veg soya chunks marinated in yogurth and spices. Takeaway Lanzarote - Restaurants Puerto del Carmen Non Veg Starter .Chicken chunks, chopped onion , tomatoes, cucumber, cilanro, yogurth and chutney.